A British Columbia-based organization will once again stage its annual national awareness week to encourage Indigenous people across the country to be more physically active. The Aboriginal Physical Activity and Cultural Circle (APACC), which is located in Vancouver, launched its inaugural National Aboriginal Physical Activity Awareness Week in 2014. 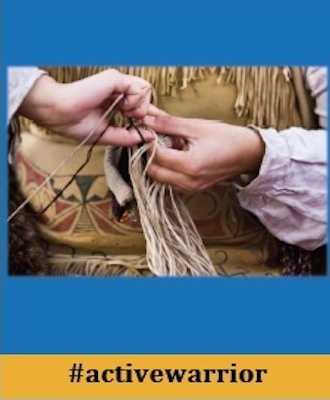 The purpose of the week is to encourage First Nations communities across Canada to promote and participate in various simple physical activities. Aboriginal people in both urban and rural locations are encouraged to take part. Melody Young, who is the program manager for the awareness week, said the event, which annually runs June 21 the June 25, has been gaining interest since its inception. “Now that we’ve established the week itself, we’re trying to create more partnerships with organizations and communities who are supportive of the idea,” said Young, who is also APACC’s executive assistant. The concept for the national awareness week was hatched at APACC’s annual conference in 2014, which was held at Queen’s University in Kingston, Ont. APACC, a non-profit organization, is also a network for Aboriginal people involved in sports, recreation, fitness and traditional activities. Its annual conference is staged in a different city each year. Following its 2014 conference, officials from 16 organizations from across Canada ended up signing a proclamation to stage an annual physical activity awareness week. It was also agreed that dates for the event would remain constant. The start of the awareness week was purposely chosen to begin on June 21 since that is also National Aboriginal Day. Besides APACC, officials from some of the other organizations that signed the national proclamation were from the North American Indigenous Games, Native Women’s Association of Canada, Canadian Aboriginal AIDS Network and the Heart and Stroke Foundation. To make things as easy as possible for them to take part, APACC annually sends out a tool kit, which provides plenty of information on what types of physical activities people can do. This year APACC officials sent out more than 1,000 tool kits to First Nation communities, Aboriginal friendship centres and those who have an APACC membership across the country. “The tool kit explains what the week is about and why we felt there was a need for it,” Young said. There’s also no need to necessarily get a large group together in order to take part. The tool kit offers various ideas for people to get physically active. For individuals, families or groups, even going out for a simple walk is considered being physically active. The tool kit also suggests that when possible to alternate activities during the awareness week. It’s also recommended, again when possible, to switch between a high intensity activity, such as hiking, to less intense activities, such as yoga or simply stretching. Young said in previous years people from all of Canada’s provinces and territories have participated in the awareness week. “But it’s hard to tell exactly how many are actually participating,” she said. Those who do take part are encouraged to share photos of their participation via the event’s Facebook page. But not all participants upload pictures of their involvement, making it impossible to figure out accurate numbers. Young said interest in the week is indeed growing, evidenced by the number of inquiries APACC officials receive from organizations and individuals looking to get involved. Though APACC’s awareness week only runs for five days, its officials hope that Aboriginal people across the country become physically active throughout the year. Regular physical activity can help prevent chronic ailments such as heart disease, diabetes and arthritis. Being physical active can also help with social issues plaguing First Nations communities. To kick off its awareness week, APACC officials organized a run, slightly under five kilometres, near Vancouver’s Trout Lake in 2014. Then last year APACC staged a youth Aboriginal Sports Day, which included various relay races, at B.C.’s Musqueam Indian Reserve. As for this year, APACC officials are planning to stage another youth sports day at the Aboriginal Mother Centre Society in Vancouver.